It is so easy to get lazy about food. 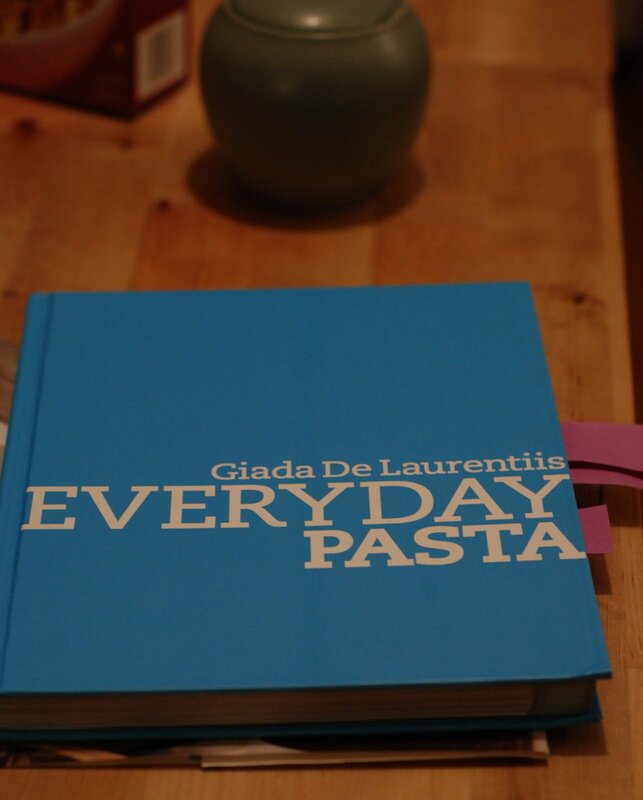 If we don’t plan, we eat a lot of pasta and take out, and then feel bad about it (well, I do anyway). 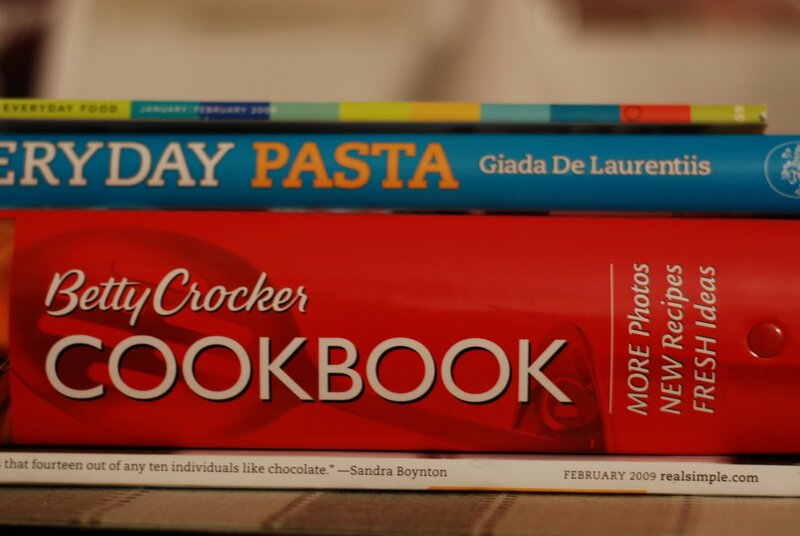 So last week I did the thing I plan to do every weekend, but rarely get to: I planned the week’s meals and I shopped based on the menus. And last week, we ate better than we have in a long time. Photo by Patrick. Forgive us for having red wine with seafood, that’s what was open. Wednesday- we ditched our planned meal of orecchiette with roasted broccoli and walnuts (February Real Simple) in favor of making pizza with Julia and Seth. Thursday- Our weekly trivia night, so we scheduled leftover night. Despite planing this, we still have a bunch of tasty leftovers– great for lunches and dinners during this busy week. Friday- baked pastina and chicken casserole (Everyday Pasta). I’m a sucker for anything involving pastina, a staple of my childhood diet. 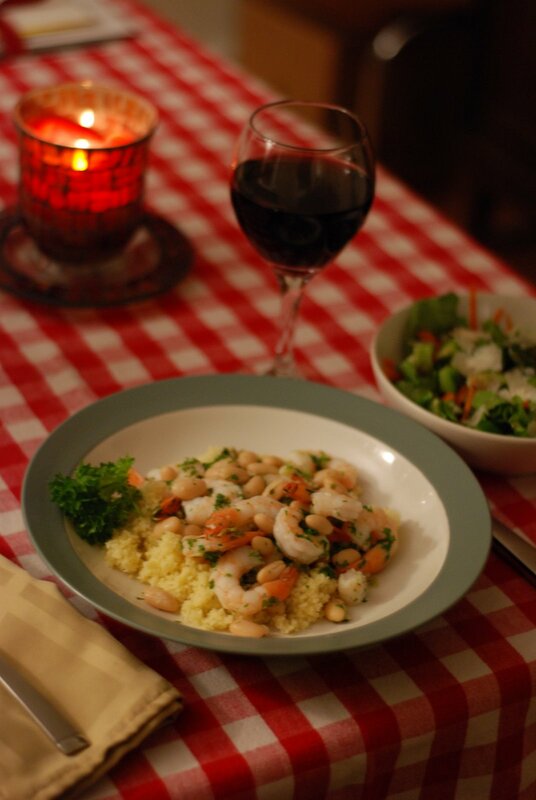 My favorite of the new recipes was Monday’s lemony shrimp with cous cous, followed closely by the baked pastina. Tasty tasty. This week was a bit heavy on the chicken recipes, but we had some to use up, and in addition to trying new recipes, I wanted to make use of things we had. I also planned some ingredient overlap to save a little cash. When things got busy and crazy last summer (moving, family stuff, wedding), deliberately planned meals went out the window. We’re finally getting back on track. It’s overly ambitious for us to make four new recipes every week, but I hope that last week jump-started us on more consistent meal-planning and healthier dinners. The Extended Adolescence Meal Plan is out. It’s time to take a little more control over this part of life.